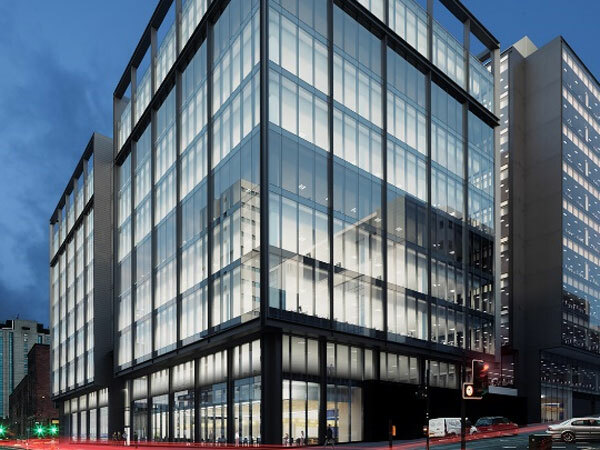 BHC were appointed as the steel contractors of 122 Waterloo Street, Glasgow – a fully pre-let 150, 000 ft2 of prime Grade A office space. The office building is nine storeys high with underground basement car parking. Works commenced in April 2016 with a scheduled completion date of February 2017. 122 Waterloo Street forms the first phase of the Bothwell Exchange project and is one of Glasgow City Centre’s most prominent projects. 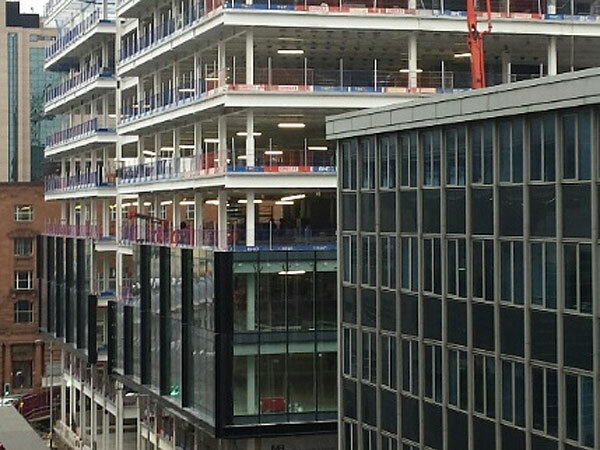 Like many other modern commercial buildings in the city centre, 122 Waterloo Street features long clear column-free spans on all of its nine floors. A structural steel frame was chosen for this project, as it has helped to obtain the long, flexible spans with no internal columns, whilst using cellular beams. BHC were responsible for erecting a series of 17.25 m UB sections, spaced at 6 m to form the office floorplate. In order to accommodate all of the buildings services within the structural void, BHC fabricated service penetrations into the long span beams. Furthermore, to achieve the column-free structure, the building’s three precast cores have been offset along the north elevation. 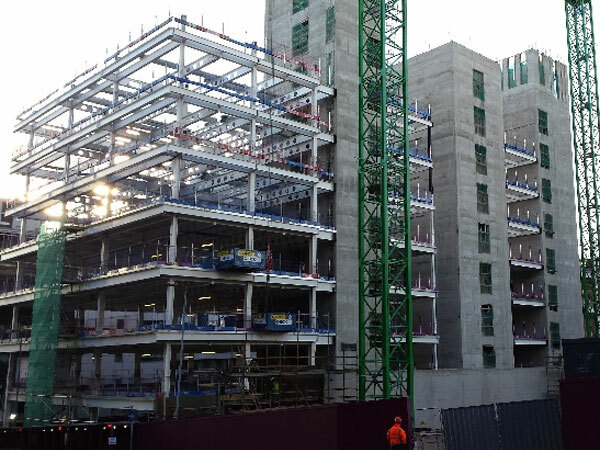 BHC erected the steel using two of the site tower cranes, with the heaviest steel lift being two 9 tonne columns that extend upwards from the basement to the first floor. In addition to supplying the structural steelwork, BHC supplied the precast cores and metal decking flooring. A sequential construction programme was devised to speed up the construction of the building. 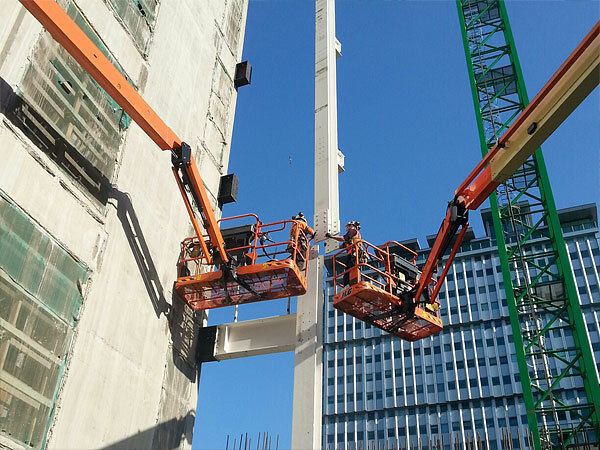 This involved BHC erecting the steelwork for the entire footprint up to the second splice, located on the fifth floor. At this stage BHC began to install the metal decking, the floor was cast and the steelwork erecting commenced whilst work was simultaneously ongoing on the first floor.